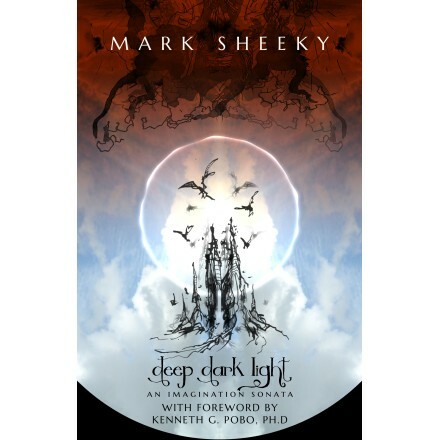 Deep Dark Light is a surrealistic work of poetry and prose in three parts, driven by mood like a sonata in text form. The first part is a personal journey of illustrated poetry concerning art and purpose. The second part moves into philosophical observations on thought and the universe, and the third part is a fantastical adventure; a journey through sleep in a quest for light, love, and dawn in a glorious conclusion and affirmation of the power of imagination. Illustrated throughout in black and white, the book has perhaps most in common with William Blake's visionary books, although the prose is accessible and of general interest with relationships to many classic works, from Alice in Wonderland, to Chants de Maldoror, to Eliot's Prufrock. The book includes a foreword by Dr. Kenneth Pobo, professor of English Literature at Widener University.